Back in June, we told you about Jeff Myers, a U of R student who was travelling to Zimbabwe Africa, to volunteer at Far and Wide, an outdoor adventure camp. 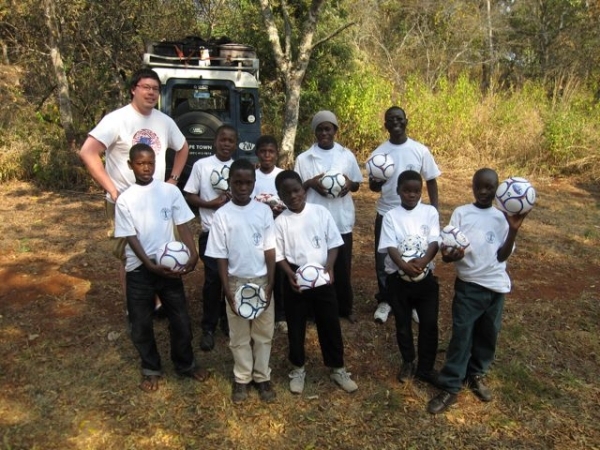 Jeff wanted to think of a way to help out children where he was travelling, and decided to bring as many soccer balls as possible to give to children in need. With donations from the Lakeview Community Association, South Zone indoor soccer, and Regina sport, as well as donations from his friends and family, Jeff was able to fulfill his goal, and returned from Africa this past August. Here is his story about his experience and how your donations helped. My first opportunity to present the gifts from Canada came with a visit to the Mutarazi Falls school, a short drive from the Far and Wide camp. The elementary school, for children grades 1 to 7, was quite different from what I expected. The students were extremely polite and friendly, which I noticed was nothing less than the norm for Zimbabweans. Despite being a bit shy towards us strangers from across the world, the duffel bags full of soccer balls and schools supplies quickly alleviated any feelings of apprehensiveness. I was told all I needed as soon as I saw the grins on the faces of the students. It was at this point in time that I knew all the work I did raising these donations was ultimately worth the cause. I still can’t accurately describe the tremendous positive feelings I was getting at that point in time. The school is now using the donations to be able to provide just that much more to the student’s recreational time. The other donation came upon our visit to the open house at the Peterhouse school for primary and secondary students, near the capital city of Harare. A group from St. Francis, a nearby school for primary students, was attending the festivities and had a very interesting story to share. Over the years, the school of 400+ students had gone from having “enough” to merely a single soccer ball, to be shared between all students. With approximately 15 balls and our pump still left, the group representing the school was sent home with the remainder of our donations, increasing their soccer ball supply more than tenfold. All in all, I can’t express just how much of a rewarding experience this was. I want to express my sincere thanks to everyone who donated to my cause. Know that you have made the day of not just one child, but many. They will hopefully have use of these items for years to come, and will be reminded that there is more to life than they may be initially presented with – they are only kids and as such should still be able to behave like one, right? Thanks again to all those involved, I say let’s do it again sometime! Congratulations Jeff on organizing such a worthwhile cause! 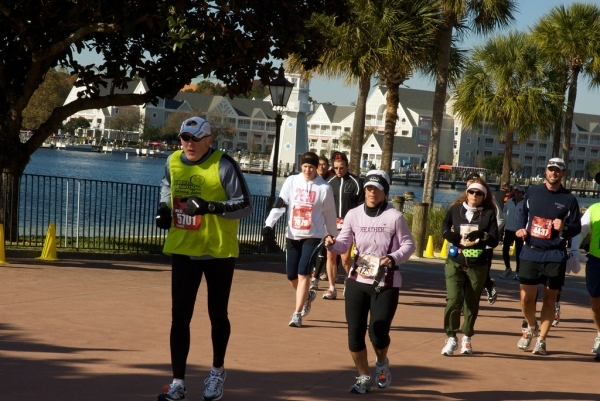 Are you a motivated individual who enjoys running, raising money, and helping out a great cause? Do you or someone you know suffer from arthritis? Do you like to travel? If you answered “Yes” to any of the above questions, then this could be the right opportunity for you! The Arthritis Society is currently looking for new members to join their Joints in Motion (J.I.M) training program. It is a program where you would be raising money, and at the same time training to take part in either a marathon or trekking experience at many different exiting destinations around the world. Upcoming destinations include marathons in Alaska, Vancouver, Athens, the Cayman Islands, and Honolulu. There is even a Mount Everest base camp trek, for those who crave adventure. Everybody who participates is asked to honor a hero- somebody they know who suffers from the crippling effects of Arthritis. The Heroes are the ones who give the inspiration and motivation to you while you are participating in the program. Many people throughout Saskatchewan are “running for the cure.” Local Lakeview resident Teresa Bell is currently training and fundraising to run the Athens, Greece marathon this October with a fundraising goal of $6500. Feel free to visit her website to learn more about Teresa and why she is running. Being a member of the Joints in Motion training team is a great way to get in shape, travel, and raise money to help a good cause. If this seems like something you would be interested in, visit www.jointsinmotion.ca. Did you think that those fun walks and runs only took place in the summer time? Here is a worthwhile event you can support while working off any ‘excesses’ you may have gained over the holiday season. 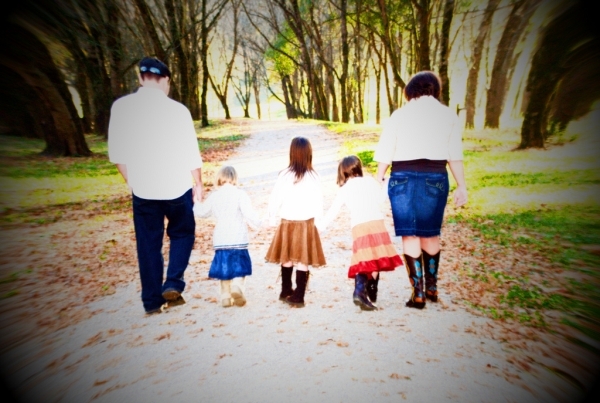 It’s a fun, family-oriented event for all ages. Show up at 1:00pm to warm up, walk, and we will be all wrapped up by 3:00pm. And oh yeah, there will be complimentary food and beverages, draw prizes, prizes for top fundraisers, and more! You can download a pledge form or call 949-4141 for more information. All the funds raised through the event go to the Alzheimer Society of Saskatchewan to support programs and services to help people affected by Alzheimer’s disease and to fund important research into the causes, a cure, and better treatments. Maybe it’s the spring-like weather we’re having, or maybe it’s Mrs. Arndt’s year round passion for planting, but we’ve been talking a lot about gardening this winter. We’re contemplating starting a Lakeview gardening program or gardeners’ group this spring. At this point we are just putting together some ideas for what this program could entail. First thoughts are that we could arrange for an occasional speaker on topics of interest, such as Introduction to Vegetables, Pruning Trees, Saving Seeds, etc. Other ideas may include garden tours, casual meetings, whatever – the possibilities are endless. Ideally it would be great to get things up and running before the spring 2010 planting season. If you have any ideas for this program, would like to organize this program, or would like to be involved in any way, please contact Amy Mader by email at amy@lcaregina.ca or phone 565-2864. If there is interest and a leader emerges, then we can launch a new program before the snow melts! Winter Program Registration and a Meeting! The weather is finally cold enough to announce our 2010 Winter Registration night — Tuesday, January 12, from 7PM – 8PM at Athabasca School. Registration night is how you can register for all programs run by Regina Community Associations — regardless of whether they are run by Lakeview Community Association. We’ll have tables for our programs and a special table for City Wide registrations. Also, the January LCA meeting will be held the day before Registration Night, on Monday, January 11, at 7PM, also at Athabasca School. We had a big mix up in December and were locked out of the school, but that’s all worked out so we can get down to business on Monday. Topics for discussion include: Registration Night, program changes, our recent paper newsletter (you got one in the mail, right?) and possibly increased noise levels in the Southern edge of Lakeview. So come on out, say Hi, share your views and lend a hand!